Why was it that I could only find a great beet salad in a restaurant? Was there some secret to making one? Well, after some experimentation, I came up with a beet salad that I really enjoy…and it’s easy to put together ahead of time if you have guests coming over for dinner. Prepare the quinoa according to the package instructions. I like to substitute half of the water with homemade chicken stock. 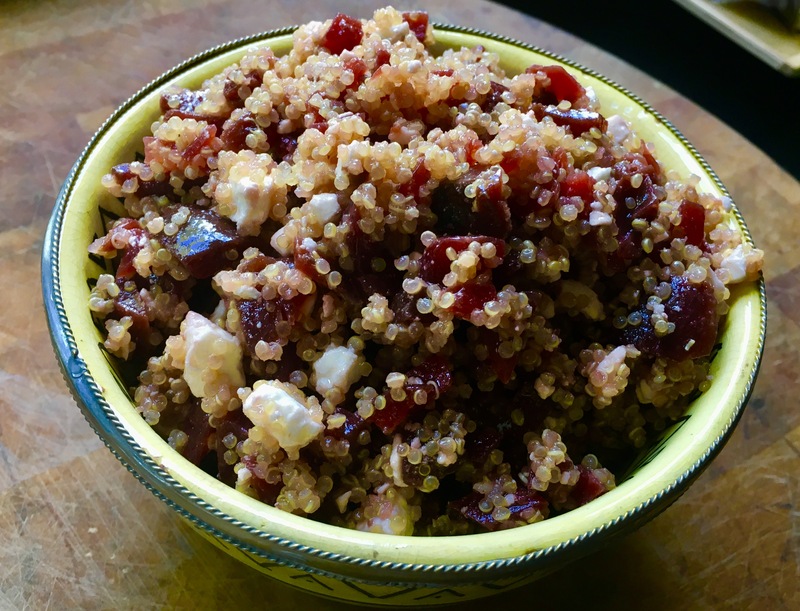 While the quinoa is cooking, combine the olive oil, vinegar, sugar, garlic, salt and pepper in a separate bowl. Once the quinoa has cooked, place it in a bowl and add half of the dressing, mixing gently with a fork to fluff up the quinoa. Place it in the fridge to cool completely. 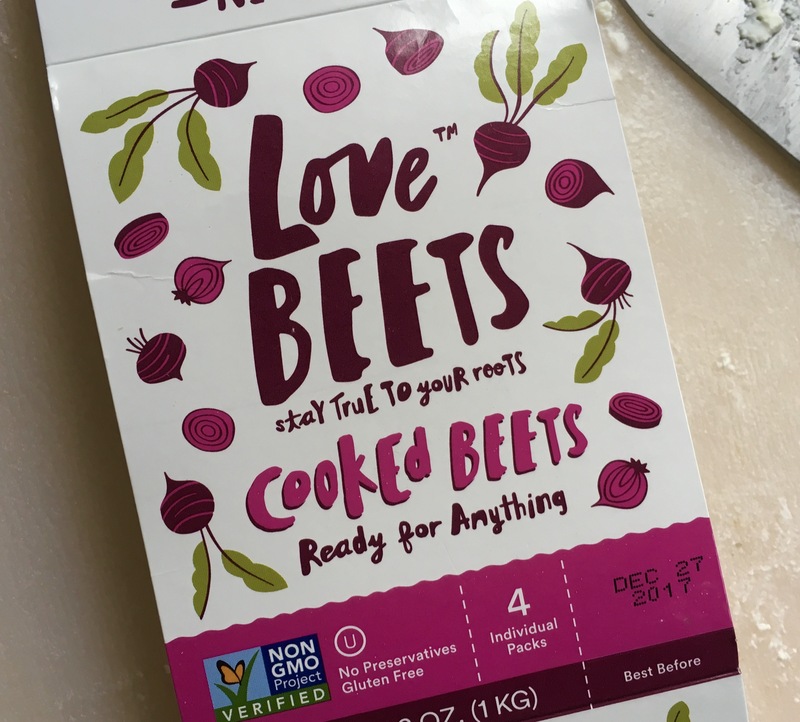 I like to use the product LoveBeets, available in any supermarket. The beets come fully cooked and peeled, ready to slice. I go to the membership clubs and buy the beetlicious jumbo size! Chop the beets to the size you like and place them in the bowl of quinoa. Add the scallions, arugula and cheese. Toss to combine. When the mixture has cooled down, give it a taste and add more of the dressing if needed. This tastes great at room temperature as well.